Talent portfolio management has taken on a completely new meaning at Talent Joe. The popularity of today's "talent search" reality shows that feature a nationwide talent showcase have left thousands of singers, dancers, models, comedians, musicians, actors, photographers, artists, and rappers searching for an online talent competition where they, too, can get a break. 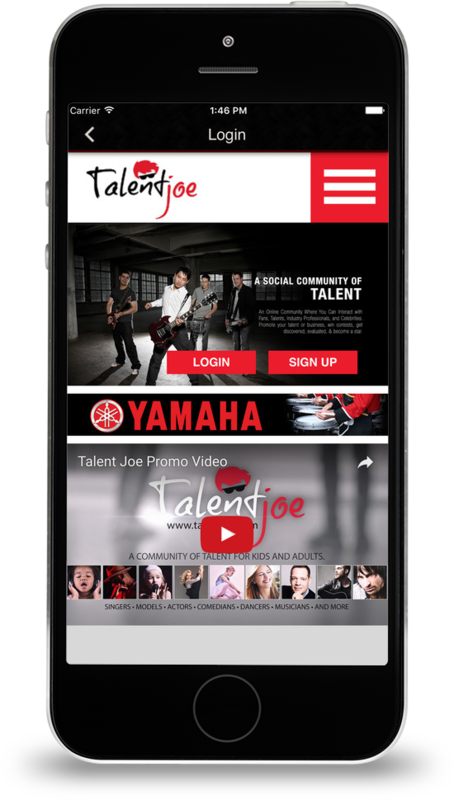 Talent Joe is a web-based social community that features online talent competition where each month's talent search includes adult talent contests and youth talent contests to promote competition within each category of the arts. Each fan, industry professional, and celebrity gets one free vote for one talent per month in each talent category. Our talent management software weights the voting according to the experience of the member completing the online talent evaluations in each category. For example, a vote received from a celebrity member or industry professional has more weight in the monthly talent contests than a fan's vote for the same artist. At the end of each month, the online talent contest for each subscribed category is decided by the talent profile that receives the most votes. Additionally, our talent profile management software determines the talent profile with the most overall votes, regardless of category, and names a "Talent of the Month" winner. The overall winner of the free talent showcase is automatically entered in the "Talent of the Year" competition. Talent Joe is an original online talent evaluations community where like-minded people can come together to share their passion, compete for awards, be evaluated by community members, gain recognition, be discovered and strive to get hired doing what they love to do. Our talent portfolio management website also seeks to award schools that join and participate in recruiting new members to the Talent Joe social community. Each month organizational members who spread the word will compete in our school affiliate contest for cash and prizes. If your organization knows of an artist that seeks the ultimate dream of becoming a star, register as a Talent Joe Affiliate and help your school or group's fundraising efforts. Every paid talent member that registers his or her talent profile using your organization's affiliate code will count toward your opportunity to earn rewards. NOTE: Pay strict attention to application instructions, application requirements and application deadlines to avoid disqualification as a talent member or judge. Be aware that as a talent you may need one or several of the following to complete your submission. These can include proof of age (birth certificate or passport), biographical information, parental permission forms for minors, images or videos, and a current photo (no selfies). Talent Joe now in App Stores!